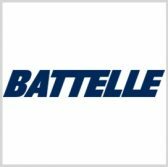 The U.S. Air Force has awarded a potential five-year, $14.6M task order to Battelle for information technology services in support of the Defense Technical Information Center’s data search needs. The company said Friday it will work with Securboration and Information International Associates under the Cybersecurity Technical Area Task multiple-award contract to augment the center’s capacity to search, identify and analyze technical data. Services will include baseline, evaluation, design and prototyping to help the Defense Department perform research-based decision-making and expand the availability of DoD-funded research to officials and the public. Battelle will build its services on stakeholder input and past engagements with other federal components including the Energy Department and the Defense Intelligence Agency. DTIC stores and facilitates information on the DoD’s research and engineering efforts.